4- Where Is Chris Simcox Now? 7- What Is An Ombudsman, Anyway? sciencitus, n. 1. The inability to recognize natural limitations of science, leading to the illogical conclusion that science can eventually reach omniscience. 2. A false belief that science can answer any question or resolve any issue, given enough facts and time, generally accompanied by an almost autonomic desire to argue for that belief, without rational or objective consideration of the topic at hand. sciencetical, adj. A tendency to view science as a religion and scientists as its priests. sciencetically, adv. Acting this way. from the name, because it's too embarrassing too. This is cultural Marxism, an effort to control thought and language, by applying opprobrium, cultural taboos and using social constructs designed to pit classes against each other in a power struggle. It leads up to use of force justified by new law, to exercise political control over a population. It's a very effective political technique and tearing at the fabric of America. Like you, I'm mortified by the psychotic atrocities being committed in one state after another. And like President Obama recently said, "Legislation is not going to pass without more grassroots-level support." But too many of you keep seeking small or large gun bans -- and run into brick-walled opposition from the grassroots gun-owner community. 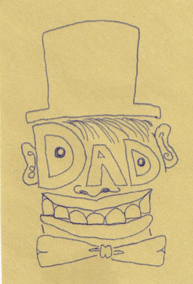 Then you appear surprised, or dismayed. You don't seem to realize, every time you create some new type of "no-guns-at-the-lunch-counter" rule, you don't create the safe gun-free zones you think you do, and we out here know it, so of course we resist you. You're creating reckless "make-believe gun-free zones," where anyone with a gun can simply walk in. These pretend gun-free zones are exactly where the psychos go. That's not only dangerous, it's as crazy as the psychopaths who use these places for their evil deeds. Tens of millions of honest people obey your rules, like lambs to a slaughter, and the slaughterers merely walk in, every time. Just look at the record on these slaughterhouse cases, it's right there -- in make-believe gun-free zones created by your signing pens. Your pen is as mighty as the sword. You keep us out, or sanction that -- and are bewildered by how much opposition you faced in doing it! Then it does nothing about stopping wild-eyed butchers from coming in. And still you wonder why we fight you?! So -- instead of denying civil rights to solve a problem, try something different. Try encouraging civil rights. That worked pretty well in the past -- just ask the President. That's doing something, and you'll have tens of millions of eager supporters instead of opposition for a change. You'll have the support you say you want, and that you do need, more easily than you can imagine. Just work with the majority of the electorate you're leaving out, who owns these things. Every time you sign a bill to ban guns from some location, without putting up the money for expensive physical barriers like at an airport, that's practically negligent, since everyone can see (thanks to the media) how dangerous these make-believe gun-free zones are. Whenever you deny a human being's basic civil and human rights you create a problem. Your role as an official is not to deny human rights, but to protect them. You should pledge to never again sign a bill that diminishes the fundamental right to keep and bear arms. It's actually part of your sacred oath of office. You need to work diligently to repeal state and local laws that restrict this constitutional guarantee all Americans have. You will have the robust and unbridled support of the firearms community and get somewhere, instead of being stopped cold. Wouldn't that be nice for a change? You want to do something? Do that. We faced the fear -- some say paranoia -- that carry permits first spawned, when they began sweeping the nation decades ago. But we soon learned that armed citizens don't shoot slow waiters, or each other at stop signs. Responsible gun owners are, well, responsible. It's the criminals we have to watch out for, and since we know our laws don't disarm them, of course you'll meet fierce resistance when you work to disarm the rest of us. So stop banging your head against the wall and work with us. We're your constituency too. Do something already. This letter was sent to more than 4,000 news outlets around the country. as a reminiscence of youth. The Hill reports that: "Georgia Gov. Nathan Deal (R) signed sweeping gun legislation on Wednesday that some have described as unprecedented. Licensed gun owners will be able to carry their firearms into public places including bars, schools, churches and government buildings, among other areas. 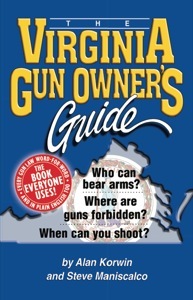 "The NRA called House Bill 60, The Safe Carry Protection Act, 'the most comprehensive pro-gun bill in state history.'" MSNBC called it The Guns Everywhere Bill, and quoted Americans for Responsible Solutions, the group founded by anti-gun-rights billionaire Mike Bloomberg with former Arizona congresswoman Gabby Giffords as its leader, which called the legislation "the most extreme gun bill in America." NPR exclaimed people will be able to bring firearms into unsecured government buildings without approval (their emphasis, overlooking everything that goes into getting the license). Librarians expressed alarm that they may not be able to even speak with people who are armed, "even if there are children running around," although that made no sense and is not a part of the law. 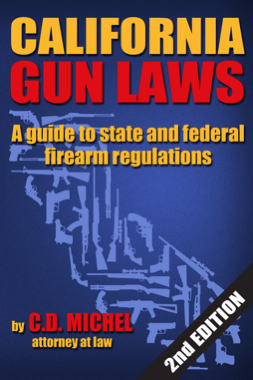 The law will free (NPR says "allow") licensed owners to carry firearms into more public places than at any time in the past century, including bars and government buildings that don't have security checkpoints. The law also authorizes school districts to appoint staffers to carry firearms. It allows churches to "opt-in" if they want to allow weapons. Bars, which could already opt-in, must now opt-out if they so desire. A webinar designed for 500 cities addresses bureaucrats who want to know if they can just post a no-guns sign to keep people exercising their rights out. The answer: "No." People were always able to walk into those places with guns, that's the whole point. What this law means is they can do it legally. 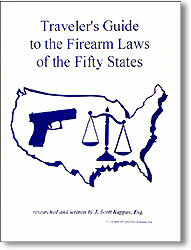 This law covers places that are not secured, where anyone good or bad, can simply stroll in armed. Get it? People could always walk in armed to the teeth to all those places, because the places are unsecured. As long as they acted discreetly not a thing prevented them. Now, even after two decades of licensed discreet carry in America, anti-rights activists like Bloomberg-funded groups, left-leaning media pundits, and the uninformed are still paranoid about expansions of civil rights in the firearms arena. Georgia's governor has done nothing other state officials haven't done bit by bit, he is just in the spotlight of the moment, responding to beneficial acts of the legislature and a hailstorm of complaints. We know for a fact that decent citizens do not start gunfights when their rights expand. We even know that citizens who have achieved Constitutional Carry in their states -- the ability to exercise their Second Amendment rights without government interference -- are equally responsible. 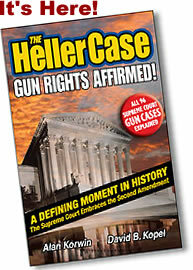 Yet ill-informed portions of the public, whipped to a frenzy by an embarrassingly incompetent media, continue to exhibit signs of paranoia or hoplophobia when gun-rights grow. The old psych 101 tapes are rolling again, hoplophobic fears of blood in the streets are beginning to manifest, none of the fearful sufferers are getting much-needed treatment, and the public is forced to suffer through this same old expensive and primitive civil-rights battle all over again -- ironically from the political left that thinks it is the harbinger of civil rights. None are so blind as those who do not know they cannot see. And We Add Half Million Extra Viewers Per Day! 1. At 12 midnight going into Saturday July 28th, the deadline for any appeal by the City of Phoenix passed and our victory in the censorship case became final. 2. 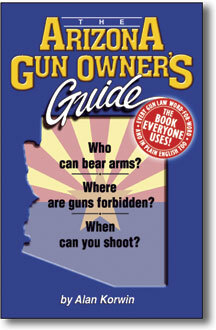 Squeaking in just under the wire, the City of Phoenix filed a petition for review just before midnight on Friday, July 27th, prolonging the final outcome on whether or not we are free to say "Gun Save Lives" on Phoenix bus stops the way we want to in our paid advertising, to advance gun safety and marksmanship training. well... It's the first one. It's done. We won. Right. I had to sweat out that deadline all this time. Now maybe you have a little taste of what that was like. You probably didn't even know. In honor of this final disposition, and for the 4th of July, and to coordinate with a big national news break I can't tell you about yet (!) 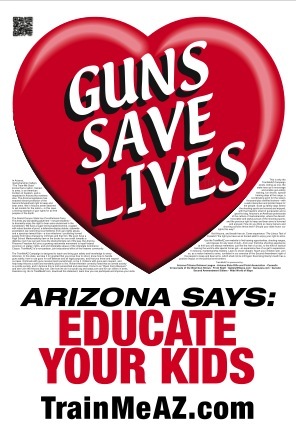 -- we're adding 500,000 viewers a day to the Guns Save Lives campaign in Phoenix. Ten new locations around the city will sport both blue and red TrainMeAZ signs, 6-feet high, at street level, all illuminated until midnight, throughout July. That brings us to one million impressions every day. 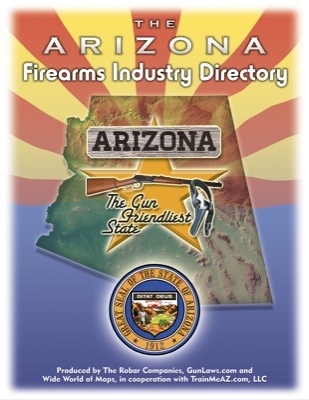 If you're a firearms trainer in Arizona, sign up for a free listing, thanks to the firearm-industry sponsors who make this public awareness campaign possible. 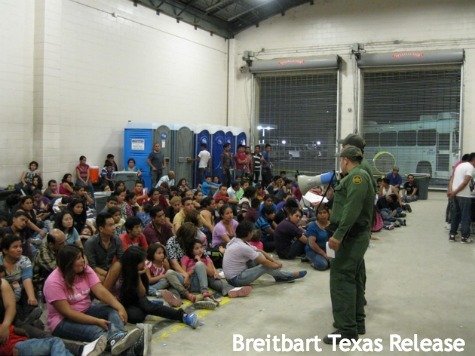 A completely unexpected surge of unaccompanied children from central America is flooding the U.S.-Mexican border and creating havoc in Texas and Arizona. This story is isn't airing so much outside of the effected border states, surprisingly enough. The border, as government has assured you is secure, but despite this, The Border Patrol can't keep them out. Responding to public and congressional demands, the agency plans to hire 2,000 more agents to supplement the 23,775 it now has. and force back to the foreign nation's shore from which it secretly came in broad daylight. K-9 units and air support were unable to repel the invaders and regain control. remained unclear at press time. details or explanation. CNN did run this image, with the faces blurred out. We have satellites that can read a license plate from outer space. 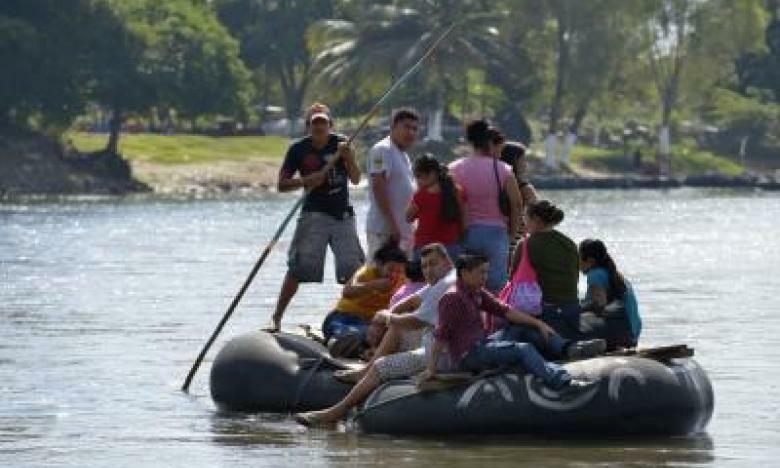 Now the Associated Press and our government wants you to believe 70,000 unaccompanied children have traveled or soon will cover 1,000 miles to America and it was unexpected. They are lying to your face. They want you to believe that our Ambassadors and the entire staffs in those small countries didn't see the same television shows in April telling those people constantly that they could now leave for America and be granted access, asylum and citizenship; they didn't see people abandoning their homes and boarding trains and buses, and that they arrived here unexpectedly. They didn't see countless children suddenly missing from homes and small towns. They are lying to you. The "news" media is promoting their lies. The "news" media is a blatant lying propaganda arm of the government perpetrating this scam, and I don't say that lightly. The Border Patrol, that you were told has secured our border so it is as safe as it has ever been according to the person occupying the White House and former security chief Janet Napolitano -- is incapable of keeping out unaccompanied six-year-old children. They are lying to your face. They are insulting you. Why on Earth would vice president uncle Joe Biden have traveled to visit the leaders of the three main perpetrator countries of this travesty now -- now that the damage is done and well underway, with the media reporting on his charade? Why didn't he do this when the campaign was in the planning stages and the TV shows promoting it starting airing months ago, or when the first trainloads started heading north? Because this is all part of the dog and pony show and campaign of deceit and lies you are supposed to swallow. We need a Chris Simcox to stand up and call for civilians to go to the border and do what the Border Patrol, with tens of thousands of agents you are paying for, is incapable of doing -- or has been ordered by Mr. Obama or his minions not to do -- repel invaders. 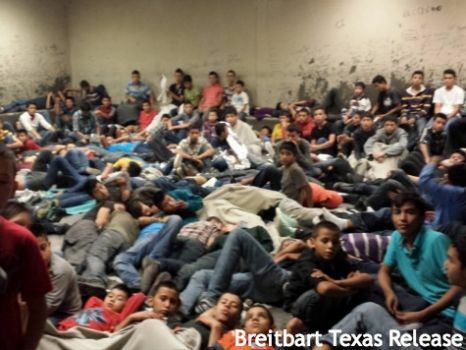 The Border Patrol agents who can't stop this need to be fired. Of course they can stop this. They must have been ordered to stand down. The people who gave those orders need to be brought up on charges. 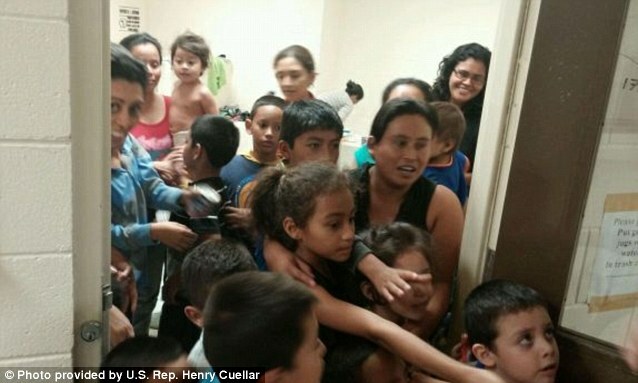 Despite claims about violence in the U.S., the source of the unaccompanied children are said to have the highest murder rates in the world (despite extremely strict gun laws), and for all we know, we might soon hear the violence is the result of unauthorized low-budget muslim videos and guns smuggled in by BATFE. There are six small countries down there, why are Nicaragua, Costa Rica and Panama left out? What we're seeing, and what's really going on, are not related to each other. We're not asking for a gun registration system to keep us all safe, according to leading gun-control advocates, although other leading gun-control advocates do seek a gun-registration system. A proposed bill, frequently referred to as a "universal background-check system," which Congress refuses to pass, would enable a gun registration system, according to its critics. 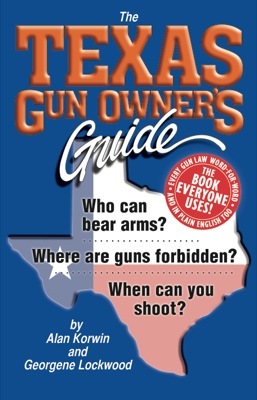 It contains language that omits every federal agency, and every federal authority or person from a ban on creating a gun-registration system, with the single exception of the U.S. Attorney General. Gun rights advocates have expressed outrage over the deceptive bill and its sponsors, false campaigning. 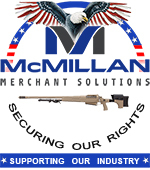 The current system for buying any new firearm in the United States requires filing federal paperwork with federally authorized agents known as FFLs without exception. The FFLs are required to instantly notify the FBI of all such transactions. The FBI's record-keeping procedures for these sales to the public are unknown and there is no audit procedure in place. The FFL records are kept for at least 20 years, first by the FFLs, then by the government forever if the FFL goes out of business. The procedure the FFLs must follow is more complex than any average citizen realizes. According to the dealers trade association (the NSSF): "75 fields on a Form 4473 need to be properly completed with each firearms transaction," an enormous burden on dealers. NSSF points out that "each error can potentially translate to an unwanted violation." Violations can lead to criminal charges and a loss of the license to operate. Due to this risk, NSSF recommends developing "sound training, processes and monitoring controls to achieve success... Orchid Advisors is an endorsed compliance information provider for NSSF members," which dealers can use to reduce the risk of filling out one of those 75 fields incorrectly. Dealers are subject to unannounced audits by armed federal agents, and NSSF reminds its members that, "auditors will be auditors." Calls by uninformed "experts" for additional gun registration overlook the thicket already in place, and the compliance costs already facing the industry. How another government list would stop homicidal maniacs remains unexplained. 7- What is an ombudsman? Long ago we eliminated the position of ombudsman at our organization. We did it due to cost (but it sure made it easier on our staff). It's come to my attention that some of my readers don't fully understand what an ombudsman is, much less an uninvited one. Most newspapers used to have ombudsman, back when newspapers were better. ombudsman , n. A public advocate. The employee in a news organization assigned to investigate maladministration, ethical complaints, errors, bias and similar violations of newsworthiness and accuracy, especially those noticed by members of the public. 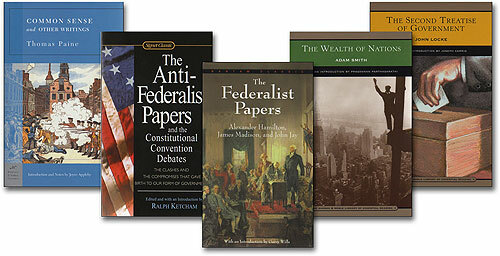 The term comes from watchdogs against government as early as 221 B.C. in China. Government ombudsman are also a thing of the past. Bringing back ombudsman helps improve things. 8- Government Is Like Soylent Green -- It's People! The government this, the government that, if not for the government, the government decreed today, according to government figures, at a special government event, government seeks increased funding, you get the idea. We keep saying "government" like it's some independent entity. It's not a thing. Government is people. It is groups of people acting together. Groups of people acting together can be very dangerous. When groups of people get together to act together, freedom is at risk. Armies form. One group takes money from another group. That's just the way things work. It's not "government." It's groups of people collaborating with each other. Your perspective changes, real change, when you stop thinking about it as "government" and start thinking about it as people working together. Who are these people? Most (tens of millions) are not elected, they have jobs (bureaucrats, "government workers," contract employees), and do things because they are told to, or decide to on their own, with money they are given by other people. They are people who live near you. 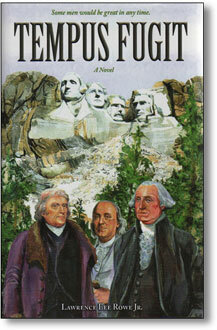 The elected people are the temporary help. "Sebulex" writes: "I'm a liberal and I have a gun and I would bet my mother's life that Obama's mysterious troops aren't going to show up at my door to confiscate it, and unlike you I don't have sexual feelings for my gun. You people are just old fashioned pussies. What aren't you afraid of? And how on earth did I get on your poisonous email list?" Thanks for writing, and saying you're a liberal. I've heard things about liberals, but I prefer to discount them. You've made that hard to do in your case. 1. Please don't bet your mother's life on anything. 2. What "Obama's mysterious troops" are you talking about? I've said nothing in that regard. 3. I haven't suggested anyone is going to show up at your door, or any doors. 4. I haven't said you have sexual feelings about your gun, and be careful about what you deny. 5. Why do you conjecture the same about me? It's not in my writings. 6. That's just your first sentence to me. Alan, Almost all of school shootings have been by persons on mind-altering drugs. 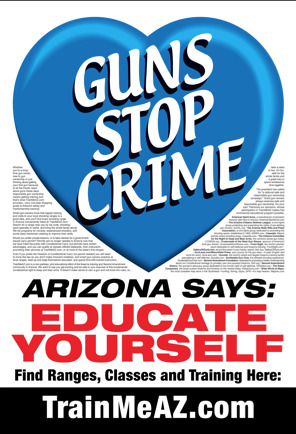 Why not mandate that anyone prescribed certain psychiatric medications be prohibited from access to firearms? The problem is not firearms, it is drugs. --Frank L.
Regarding your open letter to Obama, why do you deal with these people as though they were interested at all in a compromise, or your reason, your arguments, or even your rights? They prove every moment that they have no concern for any of those things. It should be abundantly clear to someone with your degree of involvement with firearms that what the "Gun Control" industry is after has absolutely no connection to the things they mouth in public. The only reason they have largely dropped the rhetoric of rank demonization in favor of rank deceptions like "Common Sense" laws, or "reasonable" anything, is to get the nose of the confiscation camel under the tent flap. They know nobody supports their real goal, which is a monopoly of physical force by those who share their affinities -- and so they seek to gull and browbeat with words like "reasonable," and reams of data showing their constituents' preferences for whatever insanity they advocate. Arguing in good faith with these people is going wind up one way -- the same way every argument with a tyrant intent on securing untrammeled power ends. With us lined up against a wall, or on the edge of a ditch. Giving them any quarter whatsoever begets nothing but relentless demands for ever more. As an exercise, ask any one of these people to tell you exactly when they will have enough -- will it be single-shot muzzle-loading Derringers for the commoners? Or will it be nothing -- as they will not rest so long as one single gun remains in private hands? I think you know the result of that little thought experiment. It's the same as the one where you ask them at what level of taxation will they say "enough," or how much anyone should be "allowed" to earn. No answer, because they know no satiety. They don't seek safety, accommodation, or anything else they prattle about. They seek Utopia. And pretending they do not only aids in the deception. I urge you to reconsider the efficacy of any conciliatory approach to the statists and their demands. They have long since declared war on us, and it's time we behaved as though we realize that -- by dropping the collegial airs, and being as implacable and relentless as they are -- only in favor of liberty and not against it. [Your points are all well taken and beautifully expressed. Many other said similar things (though not as well). But perhaps you're missing the point. First, it's just a writing technique, I don't really expect the guy to read the letter, c'mon, he doesn't even read his daily security briefings. It's aimed at the millions of people swarming around him, people who read newspapers and are on staffs, it's aimed at the court of popular opinion, to force (carefully nudge, actually) people to think about what they're doing, and win the battle for our gun rights, one step at a time. People in the media, people who are politically connected at every level, our own choir, not just the guy in the address box, that's my audience. Sometimes you need a bludgeon, sometimes you need a soft drink. From the looks of it, it's having an effect. One of many, it's a long struggle. I've got more coming. You should send this one around, especially to non gunnies, like democrats, rattle their cages a little. Add this: How can you not support education? I strongly suggest you unsubscribe me. Immediately. I did not sign up for this and couldn't even possibly disagree with you more. I am not your ally in any way, and do not wish to receive your messages. Who sent this, as I am a Canadian and out of five countries lived in this is the only one armed. I do not feel that I belong in a country armed by citizens against a govt voted in to serve. [Hey if you don't feel like you belong here, why are you here? Foreigners are often complaining, but live here anyway. Is that you? Always strikes us citizens as hypocritical, no? but have no end to the vacuous complaints. it will make you a better person, and part time resident. Someone forwarded me your letter to President Obama. 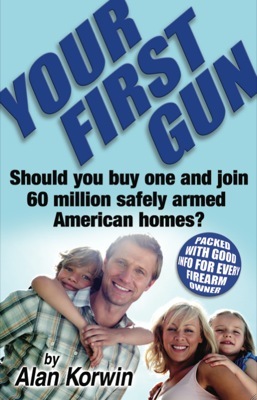 I have no problem with having a gun for security reasons in a home, for hunting and shooting. The many shootings in this country are horrendous. I am not a gun owner. What are your thoughts on banning the sale of assault weapons? Why are those legally sold in this country? I see no purpose in anyone owning an assault weapon unless they are in the armed forces. I posted this on FB and naturally got a backlash from a friend who is a gun owner. To be honest, I never heard of you but when I googled you, your bio was impressive, to say the least. I would be interested in hearing your thoughts on the above question. [Regina, Assault is a kind of behavior, it is not a kind of hardware. The media has created this term to scare people and muddle the debate. When you say "assault weapon," to what are you actually referring? 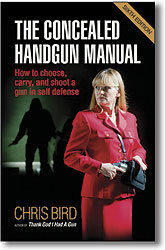 Diane Feinstein' s so-called "assault-weapon" bill would have banned anything with a grip. Hard to believe right? It's no wonder everyone objected and it went no where. So what is it you're really objecting to? I'd like to hear your reply. Forgotten me already? 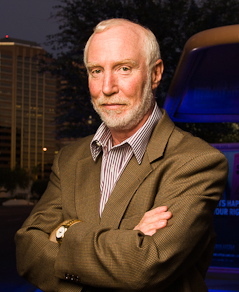 I'm the guy that wrote How to Win a Gunfight, and we've met many times when we were living in Scottsdale. Now, we're living in an 18th century house overlooking the North Sea in Scarborough, in gentle retirement. Since we left AZ in November 2011, we've visited New York , Berlin, Prague, Rome, Florence (Italy, not Ariz.) and Siena, and we go down to London about four times a year. Have to admit that I do miss my guns; not so much as shooting them, but knowing that I can own them. That's why I signed up for your Page Nine newsletter -- to keep me in touch with a free society. Incidentally, according to a friend of mine in London, if I wanted to buy an illegal handgun, it would take "no more than a couple of hours," if you knew the right people. The politicians here tell us that street crime is down, but as Winston Churchill said; "There are lies, damned lies, and statistics," and I think we're getting some heavily-massaged statistics thrown at us. If you want to read what right-minded people think over here, I'd suggest that you read the Daily Mail online at http://www.dailymail.co.uk. The lefties and commentariat all sneer, but it is the biggest-selling conservative newspaper in the UK. Take a look. All the best, Tony Walker.